Artikel hari ini penulis akan memberikan kalian informasi dasar dalam mempelajari Bahasa Inggris. Masih ingatkah kalian tentang 2 kalimat utama yang ada dalam Bahasa Inggris? Kita akan membahas tentang kalimat verbal dan nonverbal. Kalimat Verbal adalah kalimat yang mengandung kata kerja. Kalimat Nonverbal adalah kalimat yang tidak mengandung kata kerja dan juga sering disebut dengan kalimat nominal. Dalam Bahasa Inggris, setiap kalimat harus mengandung kata kerja. Lalu bagaimana dengan kalimat yang tidak mengandung kata kerja? Untuk kalimat yang tidak mengandung kata kerja, harus menggunakan kata kerja bantu diantaranya adalah “to be”. Lucy is a diligent student. Lucy is studying at school now. Lucy is at school now. Jack has eaten this morning. Jack has been in dining room this morning. Lucy has been eating this morning. Lucy has been being in dining room this morning. Lucy was swimming at 8 o’clock yesterday morning. Lucy was in the swimming pool at 8 o’clock yesterday morning. Lucy had swam at 11 o’clock yesterday morning. Lucy had been out of the swimming pool at 11 o’clock yesterday morning. Lucy had been swimming at 9 o’clock yesterday morning. Lucy has been being in the swimming pool at 9 o’clock yesterday morning. She will go to Jakarta tomorrow. She will be in Jakarta tomorrow. She will be sleeping at 10 o’clock this evening. She will be being in the bedroom at 10 o’clock this evening. She will have worked at the office at 4 o’clock this afternoon. She will have been out of the office at 4 o’clock this afternoon. She will have been working at the office at 3 o’clock this afternoon. She will have been being at the office at 3 o’clock this afternoon. My father would give me some money if I helped him yesterday. I would be happy if my father gave me some money yesterday. She would be singing on the stage, an hour after the celebration started yesterday. She would be being on the stage, an hour after the celebration started yesterday. She would have taken a bath when my sister got up yesterday morning. She would have been out of the bathroom when my sister got up yesterday morning. She would have been taking a bath when my sister got up yesterday morning. She would have been being in the bathroom when my sister got up yesterday morning. B: Hello, I am fine. A: How is your mother? A: How is your father? B: He is not so fine. A: What’s the matter with your father? B: Yes, I am. And you? A: I am a university student. B: What is your father doing in life? A: My father is a civil servant. B: What is your mother? A: My mother is a nurse. A: Is this your pen? B: No, it is not. A: Which one is your pen? B: My pen is the blue one. A: Is the red one is Jack’s pen? A: Which one is Maria’s pen? B: Maria’s pen is the black one. A: What colour is your bag? B: My bag is grey. A: Who is the owner of the blue bag? B: The owner of the blue bag is Jack. A: Is the black one Tina’s bag? B: No, it isn’t. It is John’s bag. A: What is the colour of Tina’s bag? B: The colour of Tina’s bag is white. A: Were you at home yesterday? A: Where you were yesterday? B: I was at the hospital. A: Why were you at the hospital. B: Because I visited my father. A: What did happened with your father? B: He got traffict anccident. A: Who are the women over there? B: They are Tina, Sandra, and Lucy. A: Which one is Tina? B: The fat one is Tina. A: Which one is Sandra. B: The thin one is Sandra. A: Which one is Lucy? B: The woman in black dress is Lucy. A: Is tiger wild animal? B: Yes, it is. Even it is named the king of jugle. A: What is the food of tiger? B: Meat is the food of tiger. A: So the other animal can be the food of tiger. B: Even, sometimes a tiger eats man. Demikian informasi yang diberikan tentang Penjelasan Kalimat Verbal dan Nonverbal dengan 16 Tenses dan Contoh Dialog . 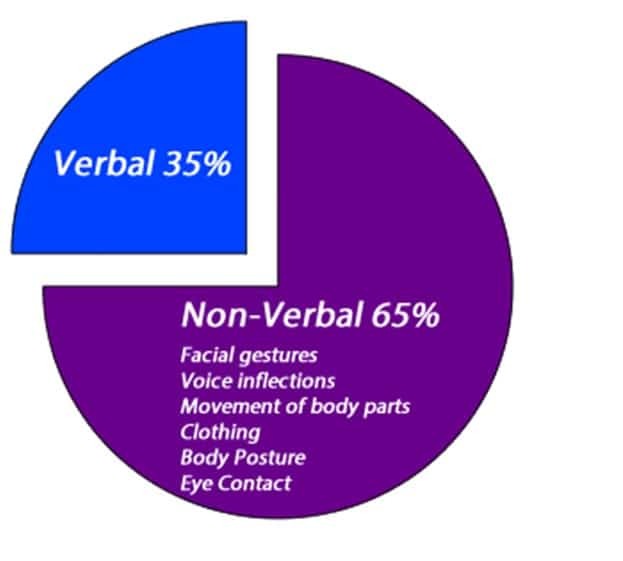 Semoga contoh dialog di atas dapat memberikan kalian inspirasi dalam mengembangkan Materi Kalimat Verbal dan Nonverbal.